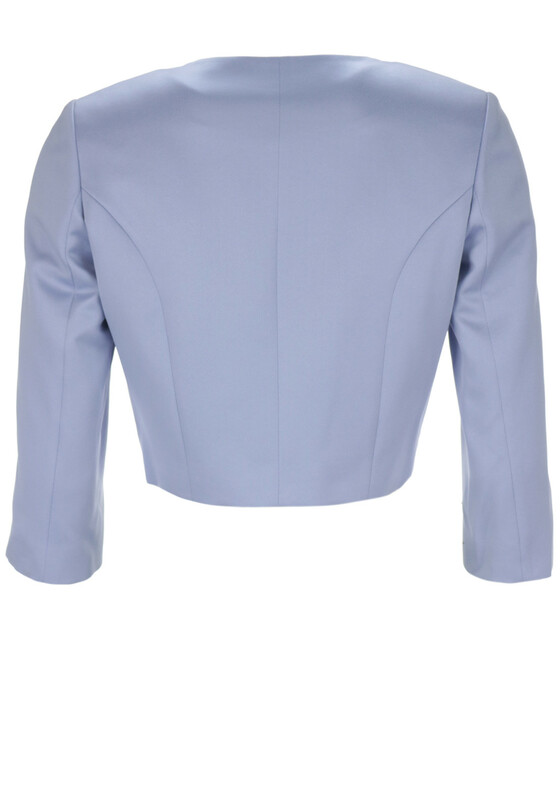 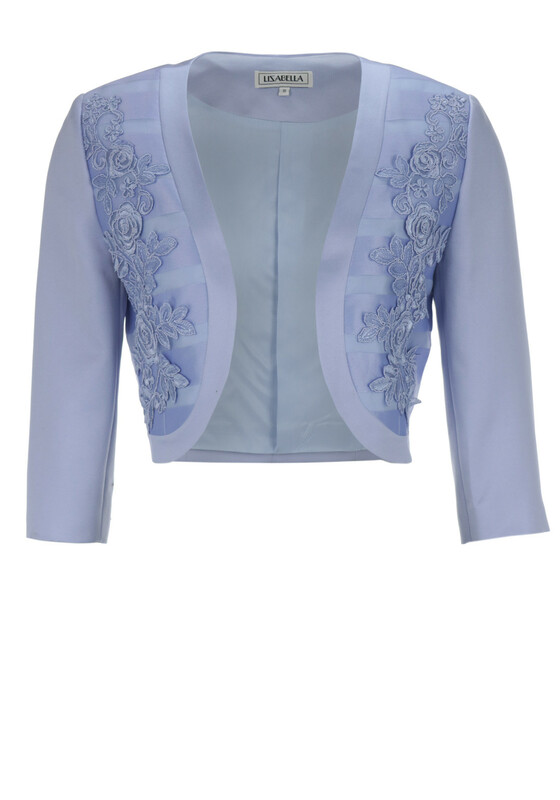 This elegant bolero jacket from Lizabella would be a flattering cover up to wear with the matching blue dress to create the perfect wedding guest outfit. 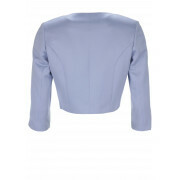 Styled with a shorter length, cropped sleeves and open front hem. 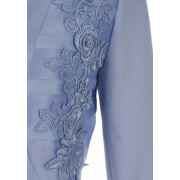 Made from luxurious satin with an organza striped pattern on the body. 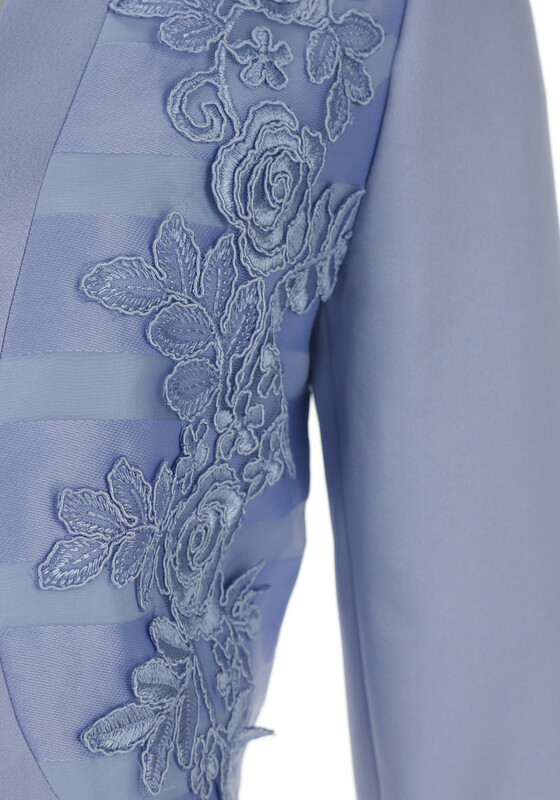 A lace trim adds a further touch of femininity.